The motorcar is a wonderful invention. But, it comes with the unintended consequence of being a danger in the wrong hands. Human hands. However, the rapid evolution of the autonomous vehicle is about to redefine the risk profile for the motorcar. And this is going to have a profound impact on auto insurance. For this month’s InsurTech Insights, Rick Huckstep sought the expertise of David Williams from AXA UK to look at the rise of the autonomous vehicle and its impact on auto insurance. The first modern automobile is generally considered to be the Benz Motor Car No1. Patented in 1886 by Karl Benz, this is “the missing link between cars and horse drawn buggies” in the days before auto insurance existed. Compare and contrast Car No1 with its 21st century counterparts and there’s a world of difference. Especially when it comes to advances in vehicle safety technology; blind spot monitoring, lane control, emergency braking, traction control, and drowsiness detection et al are now entering the global car pool. Over time, these features will all make a significant impact to reducing the 1.25 million deaths worldwide due to vehicle crashes (as reported for 2014). However, the fact is that no matter how good these safety features are, they cannot fully compensate for the number one factor in road traffic accidents, us! In the United States, 94% of crashes involve human error from speeding, alcohol, distraction or drowsiness. The National Safety Council estimated approximately 40,000 Americans died on the road in 2016, a 6% increase over the previous year. In the UK, according to this report by Matthew Avery of Thatcham Research, 23% of motor claims relate to parking incidents. Of these, three quarters occurred during reversing. This accounted for £1.7bn of claims caused by human error that would be eliminated by autonomous vehicles. Hurrah for autonomous vehicles, but what do we mean? The problem with talking about autonomous vehicles is that not all autonomous vehicles are the same. Which is why there is standard J3016 to define them. This international standard for autonomous vehicles was defined in 2014 by the Society for Automotive Engineers International (SAE). It’s based on six levels of classification from zero, for no automation, through to Level 5 for full automation. This chart explains it well. Levels 0-3 are when a human driver is needed to take control, even if there is some level of partial automation being used. Levels 4 & 5 define the conditions when the automated driving system is in control, with a human driver possibly being able to take over in some circumstance, but not acting as the fall back position. To put this into context, Tesla’s much vaunted Autopilot system is (only) at Level 2 today, even though they might market themselves higher. The first production ready Level 3 car is expected later this year in the form of the Audi A8. Whilst autonomous vehicle technology is being developed at a fast pace, the biggest barrier to its adoption are the rules and regulations of the road. Every jurisdiction is different, but they all have one thing in common. They all have laws written for the conventional motorcar in the hands of a conventional human being. Liability sits with the driver… and this has to change. To find out more about how governments and the industry are preparing for the changes heading our way, I sought the advice of an industry expert. David Williams from AXA UK is a 30-year veteran of the insurance industry and heavily involved with the UK Government’s Centre for Connected & Autonomous Vehicles strategic program. If you don’t know, the UK Government’s AEV Bill is the legislation that will enable auto insurance for autonomous cars in the UK. Some claim that the US is leading the way. Maybe in Silicon Valley, but when it comes to regulation it’s a mixed picture. Some states permit driverless cars on the road whereas others do not. Last month, Reuters reported that US Transportation Secretary Elaine Chao of President Trump’s administration is about to “rewrite regulations that pose a barrier to robot vehicles”. So, with all this technology coming our way, making it safer on the roads, is this going to drive down insurance costs? I put this question to David, “You’d think so, wouldn’t you. But the fact is that motor repair costs in the UK have gone up by 32% in the last three years. This is largely due to the costs from extra technology fitted in cars, much of it safety equipment. What does this all mean for auto insurance? The argument for autonomous cars is pretty clear-cut. Technology makes for better drivers than us fallible humans. Which leads to the near elimination of accidents caused by distraction, tiredness and inexperience. Resulting in people having free time to work, sleep, play and eat during their journeys. No one will ever crash. Therefore, no more need for auto insurance! However, before we sound that death knell, let’s remember that autonomous vehicle tech is still in its infancy. Accidents do happen, as we saw with the Tesla fatality while on Autopilot in 2016. And today’s news of an Uber self-driving car involved in a fatal accident. And Waymo, Google’s autonomous vehicle project, with over four million miles under its belt still reports “disengagements” while in autonomous mode in their latest reports to the DMV. However, the good news is that the tech can and will only get better. Just as the trolley debate and the moral and ethical questions raised by artificial decision-making will find an acceptable medium, IMHO. In the long run there will be far fewer accidents and much lower levels of claims. But this is, of course, a double-edged sword for insurers with significantly lower premiums. The question is no longer whether auto insurance will change or not, because it will definitely change. The real questions are when and how will it change. With the help of David, I set out four impacts of autonomous vehicles on auto insurance. In the US, auto insurance accounts for around $175bn of the P&C market. Over the past decade, the frequency of both liability and physical damage claims resulting from motor accidents has broadly remained unchanged. However, bodily injury average cost per claim has risen by around 30% over the same period time. Autonomous vehicles would reverse this trend. The move towards autonomy would see substantial savings in lower claims administration and payouts for insurers. But these savings would be matched by significant reductions in premiums. In the UK last year, auto insurers underwrote circa £8bn in private motor insurance premiums. Some estimates I’ve seen predict a fall of as much as 50% to 80% in auto insurance premiums! With this reduction in accidents and incidents will come a decline in fraud. Not just because there are less incidents, but because the information available to the insurer will be significantly better. The fraudulent customer has little or no time to think up embellished answers when the data the insurer needs comes from the telematics and sensor data in the car and your mobile phone. 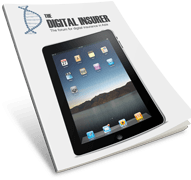 Insurers are able to determine a better picture of what happened without the customer’s input. The battle over access and ownership of data is going to run and run. That’s a story for another day. When, on October 8th 2015, the boss of Volvo, CEO Haken Sammuelsson, said, “Volvo will accept full liability whenever one of its cars are in autonomous mode” it sounded like he was signalling the end of auto insurance. Volvo was the first to say it and other manufacturers have followed suit. Essentially, that when the manufacturer’s autopilot is in the driving seat, insurance liability will shift from the driver to the manufacturer. However, the reality is that auto manufacturers are not that keen on taking on the insurance risk. After all, they’ve just spent $billions on R&D to make our roads safer and reduce accidents by 80-90%. They didn’t do this to then have to carry 100% liability for whatever happens on the road. Which is why the UK’s AEV bill shifts liability to the vehicle, not the manufacturer. David explained; “The AEV bill in the UK makes clear when liability will move from ‘The Driver’, and that is only when you are talking about level 4 or 5 vehicles. From that point the liability transfers to The Vehicle, but an RTA (Road Traffic Act) compliant insurance policy is still required, and the insurer deals with the claim in the first instance. This is an important point. Because the AEV bill will impose strict obligations on the insurer to payout in the event of an incident involving the insured vehicle, regardless of fault. Then the insurer can pursue recovery as secondary action. As liability shifts to the vehicle, the way that the auto insurance policy is priced will fundamentally change. Risk profiling based on a driver’s age and claims history will no longer be the basis for premium pricing. Instead, risk rating is going to reflect variables such as software levels in the same way that they adjust for no-claims history today. Of course, this does also raise a question about the telematics segment of InsurTech. If the driver is no longer relevant, then neither is driver behavior. It’s going to be a long time before telematics based insurance becomes redundant, but redundant it will be. This is the long shot of the 4. Here goes! Motor manufacturers understand customer service. They do anything to encourage you into a showroom and love it when you take your car for a service at a main dealer. Courtesy cars, coffee on arrival, they clean your car and will even deliver it back to you. There is no equivalent in insurance! So, imagine the motor manufacturer bundling in a whole manner of services with your brand new vehicle. Including forms of cover that your auto insurance policy provides you today. This makes perfect sense given that car manufacturers really do know the meaning of brand loyalty built on trust and customer service. And they have the infrastructure and balance sheet to do it. For over a year now, Tesla have been talking about offering a single price for the car. I asked David for his perspective on this notion of manufacturer’s eliminating the need for auto insurance. “I’m not so sure, Rick. The service bundle argument is a valid approach in theory. But despite all the manufacturers having financial services arms and being in prime position, they sell a very small proportion of motor insurance. You can read more of my thinking on this one in this article I wrote a few month’s back. Do Autonomous Vehicles mean the end for auto insurance? I’ve seen reports calling this the beginning of the end for auto insurance. I don’t see it that way. It’s definitely going to change, but it will still exist. From the fundamental shift of liability from The Driver to The Vehicle. From the way risk is profiled, rated and priced to the substitution of cover from one insurance line to another. The auto manufacturers say that they will take on liability but have yet to put their money where their mouth is. Who knows, maybe they will follow through with the promise and we’ll see a shift to commercial cover. Or they might develop a hybrid model by self-insuring off their own balance sheets and buying wholesale off the reinsurers. But that isn’t likely to be a significant segment of the new world order for auto insurance, IMHO. There will still be auto insurance; it will just be in a very different form. What is the future of insurance when machines do what we do? Rick Huckstep is Chairman of The Digital Insurer. Rick is an InsurTech thought leader, keynote speaker, advisor and investor to tech startups.